Since 1919, Armature Coil has been supplying innovative and high-performing thermal solutions to meet the ever changing needs of the oil and gas industry. 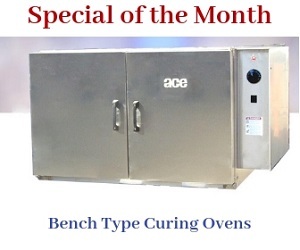 Drawing upon the vast expertise, ACE brings you a good return on your investment when it comes to burn-off ovens and industrial grade ovens. We understand the needs for extremely reliable and durable ovens for executing or supporting various processes and activities at oil and gas industries, hence we indulge in fabricating specialized ovens conforming to the international safety standards and quality. How We Support Oil and Gas Industry? Used to remove oil, grease, sludge, epoxy, polymers, paint and other organic materials from machinery and equipment used by oil and gas industry. Thus customers from the oil and gas industry are freed from using chemical strippers and other toxic materials that pose hazards to both people and environment. Armature Coil offers the highest quality and industry-best ovens with superior temperature uniformity. Also, since they are built to last using superior quality raw materials, they can withstand the rigors of the oil and gas industry. We welcome you to partner with us; we bring you industry specific ovens of superior grade to meet your unique requirements.